I’m more than ready for springtime. Like, now. Warm weather, gentle breezes, and long days recharge my batteries. It’s been a mild winter here, so I have no right to complain, oh but complain I will. Because I Need Spring. I’ve been encouraged by the progress in my garden, in which all sorts of flowers have been popping up. Other than the pansies that made it through the winter, I didn’t plant any of these flowers. They just sort of show up each year. I have a Darwinian approach to my garden. Survival of the fittest. It’s always the crocuses that surprise me. I’ll be minding my own business, cursing the stupid cold days, when they start making their appearance. Suddenly there’s hope that spring is around the corner. God Bless the crocuses. My love for these simple plants led to my Poetry Friday selection. This little gem is from the charming collection Tap Dancing on the Roof: Sijo (Poems), by Linda Sue Park. Sijo is a traditional Korean form of poetry written using a syllabic structure. Written in English, the sijo in this book have fourteen to sixteen syllables divided evenly into either three or six lines. 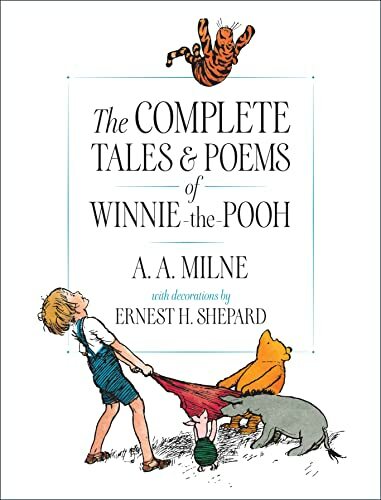 The last line of the these poems contains some twist, “humor or irony, an unexpected image, a pun, or a play on words.” In the beginning of the book, Park offers an explanation for the poetry style, and in notes at the end offers ways to turn the poetry reader into the poet. 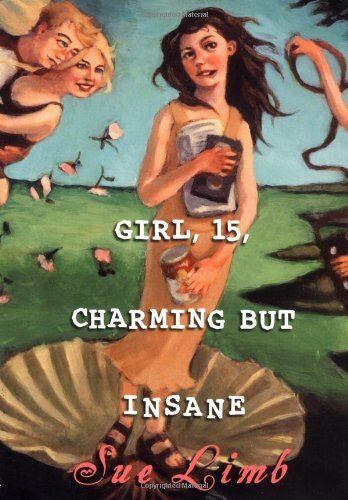 Her poems are delightful, focusing on the everyday world of the child. Throughout the book the spare, simple illustrations of Istvan Banyai complement the work perfectly. If I may be allowed to share one more (okay, Linda? ), I’d like everyone to know about this tribute to poetry. from brain all the way to heart. Can we make that the official poem of Poetry Friday? Maybe the poetic mission statement? I don’t know, but I think it says so much in so few words. Love it. Poetry Friday roundup is over at Cuentesitos. “Today, our baby is not laughing. Not a hint of a dimple or a glimmer of a smile, but a face like thunder!” Though everyone in the family tries to get the baby to smile with tickling and peek-a-boo, bubbles and tricks, the baby won’t smile. Even the dachshund on the unicycle doesn’t work, and we all know how funny wiener dogs are. But when the older brother challenges baby to a staring contest with absolutely no laughing, the baby smiles, chuckles, and laughs. The pictures are have a gentle cartoon quality with soft lines and bright colors. There’s only one thing that I don’t get: What’s with all the costumes on the characters? I mean, the grandma is a fairy princess, the grandpa is a pirate, and there’s no explanation. Though I have to admit the outfits do make the book a little more fun. 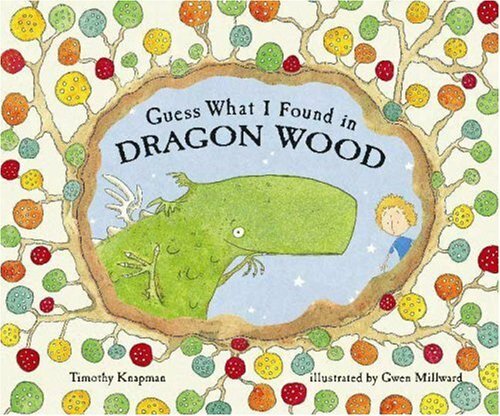 Great storybook for the preschool set. Camille and her grandma have a wonderful friendship. They bake and shop and laugh together. 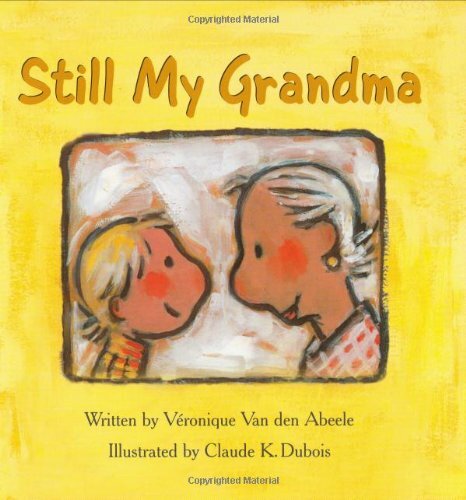 But one day Camille’s grandmother seems confused, and she doesn’t get better. In fact she has Alzheimer’s disease and has to live in a house with other older people. Camille and her family visit, and Camille finds new ways to keep up their traditions. She brings her own treasures to Grandma and takes her for walks in her wheelchair. She says, “It’s true that she’s not the same person she used to be, but she’s still my Grandma and I love her very much. She loves me too.” While it would be helpful for kids going through similar experiences, it could also be read to show how people can change and we can still hold onto our love for them. 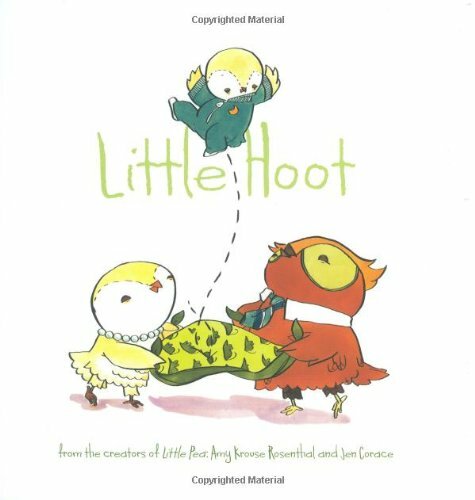 Sweet book with soft, gentle illustrations. From me head to me toes. I haven’t read The Big One-Oh, by Dean Pitchford, but I think it’s interesting that the blurbs are by Jamie Lee Curtis and John Lithgow. Dean Pitchford is himself a celebrity as a songwriter, though I would have totally cut him BACA slack because there’s no big name-recognition factor. 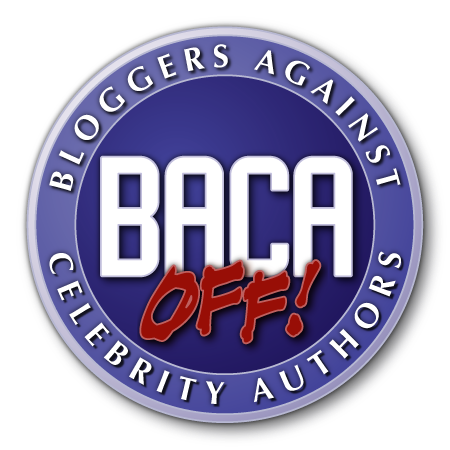 However, now that the book’s been blurbed by two celebrities on the front cover, I feel that as the founder of Bloggers Against Celebrity Authors, I must pass on this book on principle. 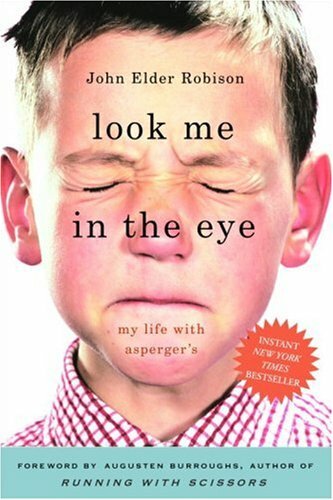 Look Me in the Eye: My Life with Asperger’s was written by John Elder Robinson, brother of Augusten Burroughs, author of Running With Scissors, which devoted a chapter to the misdiagnosed sibling. Got it? Now we hear John’s story. The chapters about John’s early years were of most interest to me. I felt like I was getting a view inside the head of someone who is trying so hard to communicate and not getting it right. He writes that contrary to common belief, a child with Asperger’s has emotions but can’t express them in the “appropriate” way. He describes how he had to learn logically the correct response to “Look at my Tonka truck!” where other kids knew what to say based on social cues and context. He explains that his natural remarks could seem random because he was following his own train of thought before his response. While adults were more tolerant of his random remarks, he shared how in ways it hurt him because he didn’t learn the correct way to relate to other people. As a teenager, John found an interest in electronics and sound, and through a series of contacts he became the sound engineer and guitar designer for KISS. He describes his tours with the band  his own behavior was fairly tame, unlike that of the band  and his return to his home life. The ending chapters about his corporate work and later his own company didn’t hold my attention as well, but overall it was an interesting and insightful book. Today’s Poetry is from Mother Goose. That counts, right? In any case, it’s the first day of spring and the rhyme is definitely appropriate. Which is more than I can say for the weather today, a not-so-balmy 48 degrees here in Virginia. Where can little robin be? Gone into the cherry tree. Actually, this rhyme is specifically from Mother Goose and Friends, as selected and illustrated by Ruth Sanderson. Now, I love Ruth Sanderson. I bid on her snowflake during the Robert’s Snow auction. I didn’t get it, but oh, I wanted it so much. Her illustrations are so detailed and lovely, and Mother Goose rhymes are the perfect fit for her artwork. My inner girly-girl was tickled pink with the use of fairies throughout this title  even when fairies weren’t required  like “Ring Around the Rosies” with dainty, beautiful fairy girls circling a small rose bush. Ahhh. These are some of the prettiest illustrations I have ever seen. But. I was very disappointed that she didn’t choose to include more children of color in this book. There are a few  little Miss Muffet and the boy in “The Elf-Man”  but there could have been and should have been more. I know that there’s that old-fashioned, old England feel to the book that you don’t want to spoil, but still some shades of brown seemed sorely needed. Today’s Poetry Friday round-up is over at Wild Rose Reader. Incredible illustrations, not much story. 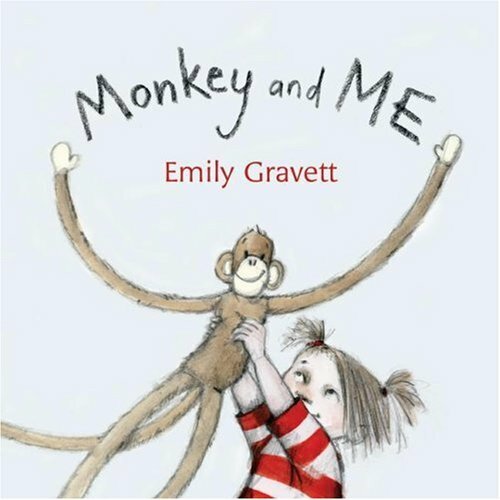 The whole book is Monkey and Me went to see some [insert animal here]. It is very cute that the sock monkey and the girl are acting like the animal right before they show it. And the pictures are extraordinary. Someone else mentioned, and I agree, that the last line breaks the rhythm of the book. 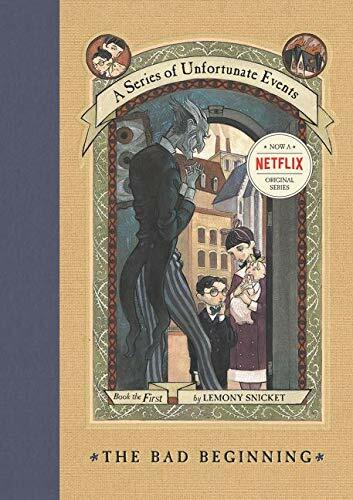 But apparently only Americans are getting the book end with “Zzzzzz.” In the UK they get a different ending that fits better, but I suppose they thought we weren’t sophisticated enough to understand “went home to get some tea” here across the pond. Little Hoot likes school, and playing, and even practicing his staring. But he does not like Bedtime. Why? “Because when you’re an owl, you have to stay up late, late, late. That’s just the way it is.” While all of his other firends get to go to bed, he has to stay up and play. What torture! It’s a fun switch on the usual bedtime book. 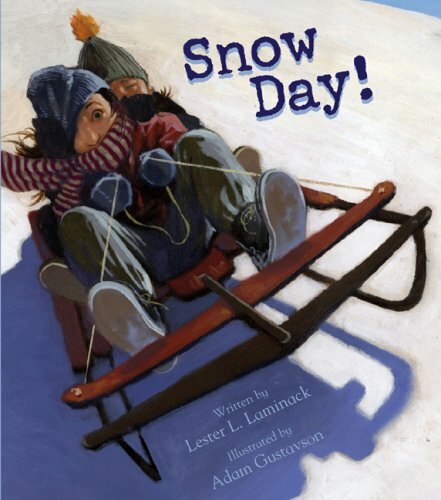 Nicely done book with the fun storyline and sweet, slight pictures. I’m a fan of the Belinda books, having a ballet student in my home. I would never have guessed that there would be a prequel. When Belinda was born, like all babies she had tiny everything  except her feet. Her big feet gave her lots of trouble, but the worst was when her teacher thought she should be a clown in the talent show just because she could wear the big clown shoes. Belinda was more interested in the ballerina who practiced before her, and so Belinda tried out the moves at home. 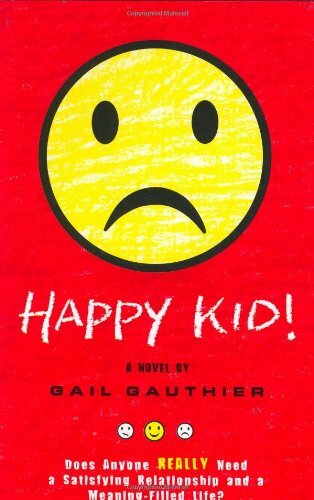 I liked the book better on the first reading than on the second where I started to nitpick about: (a) Why was the teacher so mean? (b) How much time do they get to practice for this talent show anyway? and (c) How come Belinda learns the ballet moves in her room, alone, when my eight-year-old has been taking lessons for years and can’t do these moves? 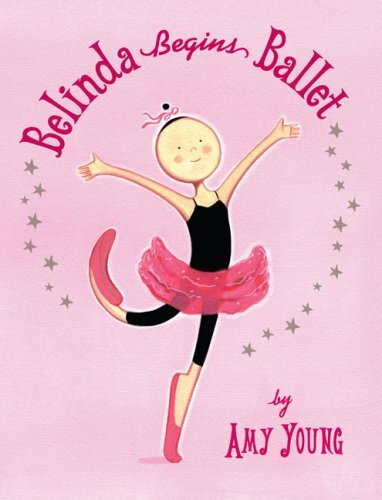 Still, young ballerinas will love the new Belinda book regardless of the flaws. I’ve got to say it. 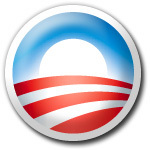 Obama’s speech on race was extraordinary. It’s late, I’m tired, and I did not need to spend forty minutes listening to him. But I did, and... wow. Oh, and he wrote it himself. Double wow. And it means taking full responsibility for own lives  by demanding more from our fathers, and spending more time with our children, and reading to them, and teaching them that while they may face challenges and discrimination in their own lives, they must never succumb to despair or cynicism; they must always believe that they can write their own destiny. “And reading to them.” Yes. Well, in recognition of MR’s Vegas trip, we thought it might be an opportune time to reprint this review (which originally ran almost two years ago) of Ben Mezrich’s books Bringing Down the House and its followup Busting Vegas. Especially in light of the former’s imminent movie adaptation. Enjoy, and rest assured that Pam will be back soon, though perhaps a few dollars lighter. Hey, we can’t all be MIT whiz kids. That was what I was supposed to be doing. But our plans to go to Atlantic City for the beginning of spring break fell through. Instead I found myself on Monday sitting on the front porch, and then the back porch, and then the front porch again, reading about gambling. No, I correct myself. Not reading about gambling  reading about winning. 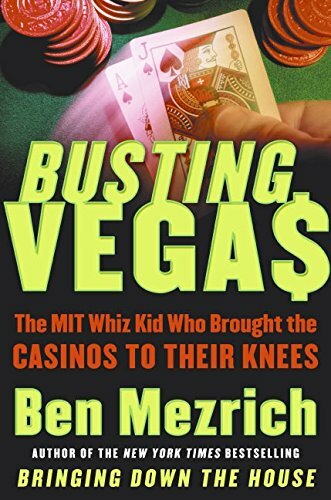 Ben Mezrich’s two books, Busting Vegas: The MIT Whiz Kid Who Brought The Casinos To Their Knees and Bringing Down the House: The Inside Story of Six M.I.T. Students Who Took Vegas For Millions, are extraordinary. They are action-adventure books for geeks. They give the nerds their day in the sun. You know, in case übernerd Bill Gates ruling the world wasn’t enough for you. In Busting Vegas, the author tracks a M.I.T. kid who learns a new system for beating blackjack. It is almost cheating, but not quite. Using three techniques more sophisticated than card counting, he and his team make tons of money  in one case fifty thousand dollars in one hand. In ten minutes of play. Of course, you can’t make that kind of money without drawing some attention, and some of it isn’t the nice kind of attention. For with the comped suite and plane ticket and arena fight, there’s back-room intimidation, gunpoint confrontations, and one memorable plane crash. It wasn’t an easy life for a kid, but it sure was a profitable one, and now he is sharing his secrets with us. 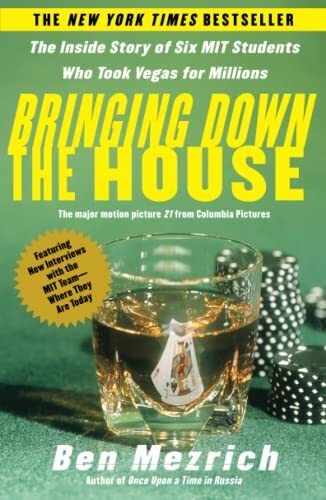 In Bringing Down the House, the author presents a group of M.I.T. students who find their way to money through card counting. But this isn’t your Rain Man kind of card counting; this is a simple high-low strategy the students are learning. But that strategy alone won’t pull in the kind of money they want, and it always attracts the attention of the casino managers  who don’t like card-counters. Instead, the students work in teams, with “Spotters” playing hands until the decks get “hot” with high cards, then the “Big Players” swoop in on a signal, and play hard and fast on the good run. Then they take off with the winnings and everyone splits it later. But again, with the freebies and money come danger and risk. And sometimes, even with the best odds in your favor, the cards don’t go your way. Both of these books were quick, incredible reads. Now if you’ll excuse me, I’m going to play a little blackjack. OMG! I spent more than two hours at Big Universe creating a book. Two hours that I badly needed today to Take Care of Business. I just wanted to see how the whole thing worked, and next thing I knew I was finishing The Princess and the Peppers. It’s ready for viewing if you want to see what kind of picture book I would write with two hours and limited clip art. All right, we all know the song, so there are no real surprises there. Well, one surprise. Okay, maybe two. 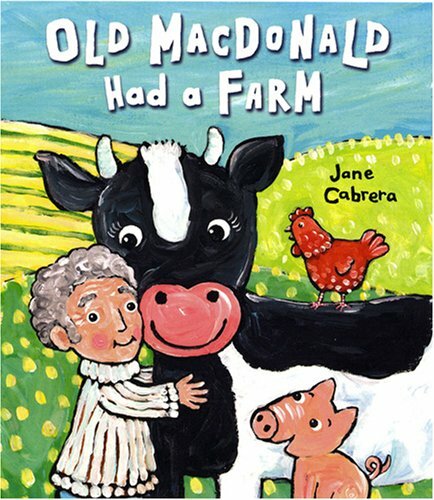 In the first verse we learn that Old MacDonald has a wife, with a kiss, kiss here and a kiss, kiss there. I think it would be advisable to not think about the here and there those kiss, kisses are going. They’ve also got a little May-December thing going on. Not that anything’s wrong with that. 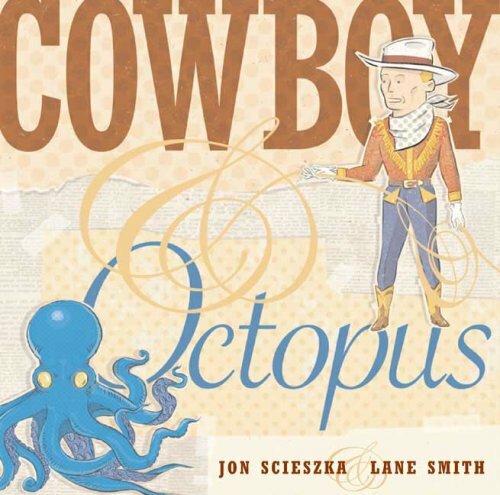 The rest of the book is the standard animals, but with the Cabrera-style bright lively art. At the end, surprise again. A baby! Hey, what did you expect with all that kiss, kiss here and there? 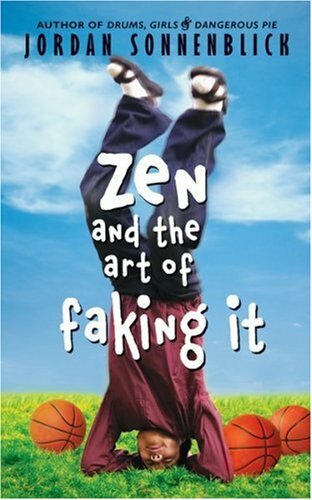 The inside cover says that “Anita Harper is an author and pyschotherapist whose books focus on the emotional lives of children.” In this title, you can definitely feel the pyschotherapist coming through, but it’s not completely distracting. 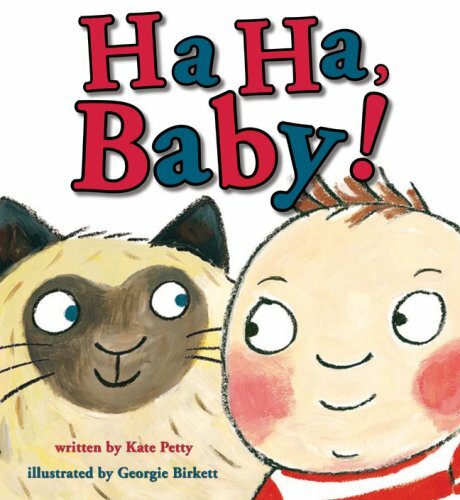 I’d give the credit to illustrator Mary McQuillan for making this feel like a “real” picture book and not just an “issue” picture book. Her cat family is adorable, but with a funky little spin to the pictures that keeps it from being cutesy. 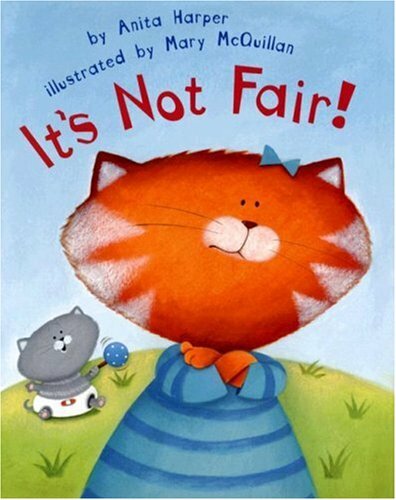 For the story  originally written in 1987  a girl cat is upset that her new baby brother is getting all the attention and treats, and it’s not fair! But then it turns around and she sees all the things that she can do that he can’t do, and he doesn’t think that’s fair. The only thing I really didn’t like is that the book seemed to end suddenly. Without the “I guess there are things that both of us find unfair” wrap-up, I felt like there was a page missing. 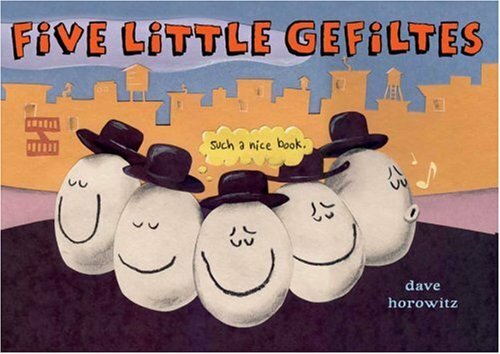 Still a good book for siblings, but watch out for that last page turn. Someone was watching Schoolhouse Rock! videos before he illustrated this book. Honestly, the last few pages of the book would look totally at home in the seventies. Totally groovy. Not in a bad way necessarily, but notable. 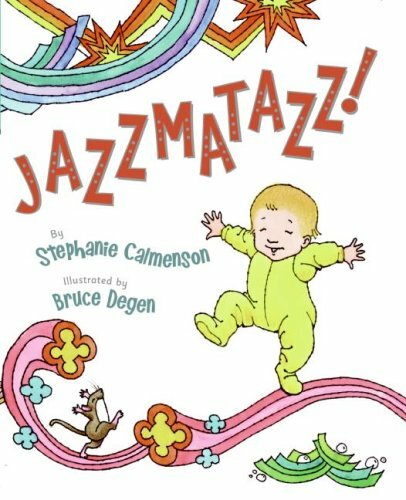 A little mouse creeps into the house and starts playing jazz on the piano, which inspires the dog, the cat, the bird, the baby and the parents to each contribute their own part in mulicolored, psychedelic patterns. Fun and bright. Really bright. Oh, I loved the note from the author and illustrator on how this book got started from emails they were sending to each other. 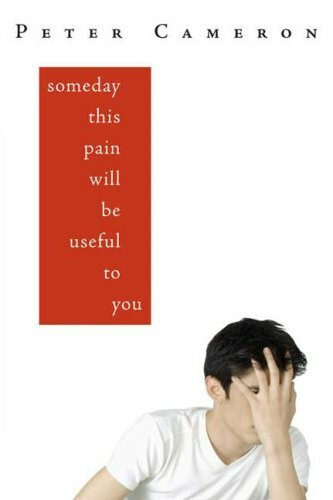 Someday This Pain Will Be Useful To You, by Peter Cameron, is the kind of book that I often don’t review because I can’t do it justice. I’ve skipped several of my favorite books over the last two years for this reason. But today, I’m taking a new approach and using a minimal description and some paragraphs from the book itself, and that’s going to have to do. James has been accepted by Brown University, but isn’t sure that he wants to go to college. He’d rather read to educate himself  maybe in a nice house in the Midwest  than spend time with his peers. For now, he works in a boring job at his mother’s art gallery in Manhattan and deals with his fractured family. I have to say nothing much happens in this book. It’s all about self-discovery and coming of age. Even James’s attraction to his mother’s assistant John is restrained and ambivalent. But I think that the lack of huge external conflicts makes it feel more real and raw. The only flaw is that the book doesn’t leave you much to grasp onto when it’s over. It’s a little forgettable in a way. 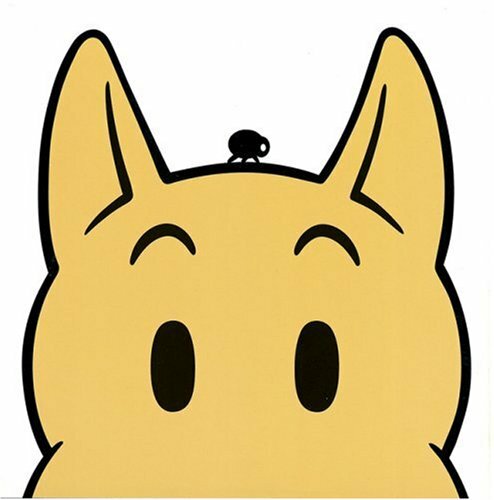 There are some really well-written passages that explain James’ feeling of isolation and loss. Here are three of them. “What’s true?” my mother asked. ...even if you had to sit at a table with someone, they didn’t expect you to say anything besides good morning, and that I could handle. I wish the whole day were like breakfast, when people are still connected to their dreams, focused inward, and not yet ready to engage with the world around them. I realized this is how I am all day; for me, unlike other people, there doesn’t come a moment after a cup of coffee or a shower or whatever when I suddenly feel alive and awake and connected to the world. If it were always breakfast, I would be fine. I knew she knew why I was thinking about that woman  I was thinking about my own tendencies toward aloneness and I thought I could end up like that woman... but alone with a life that didn’t touch or overlap with anyone else’s, a sort of hermetically sealed life. I knew Dr. Adler knew I thought this and just wanted me to say it to express myself, because she thought that by articulating those thoughts I might transcend or purge myself of them  but what she didn’t know was that the story of the woman who disappeared like that didn’t make me sad, I didn’t think it was tragic that she left the world without effect. I thought it was beautiful. To die like that, to disappear without a trace, to sink without disturbing the surface of the water, not even a telltale bubble rising to the surface, like sneaking out of a party so no one notices you’re gone. The book isn’t all misery and angst. There’s humor, too. 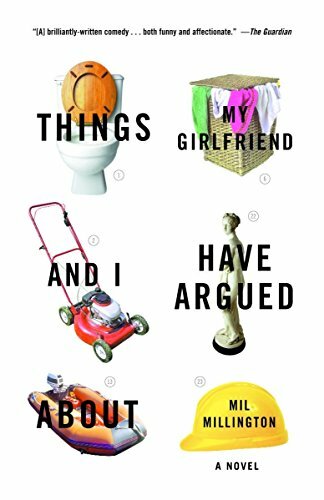 Overall, an interesting and entertaining book that will leave you wanting more  even if you can’t exactly remember why. Whatever whoever chooses to read is their business, of course, but adults whose taste in recreational reading ends with the YA novel need to grow up. Words of wisdom from Roger Sutton, editor in chief of The Horn Book, a literary magazine about books for children and young adults. The best response in my book? Actually, Liz over at Tea Cozy makes a very good and suitably outraged argument on her blog, but it was that part that stuck out for me, because the original statement is so ridiculous  and in so many ways  that it needed a silly response. There’s the hypocrisy of the editor of a magazine about children’s literature blasting an entire audience of that magazine. There’s the absurdity of being judged not only by what you’re reading but why you’re reading it. There’s the stupidity of saying that what people choose to “read is their business,” but then making a judgment anyway. My personal favorite part of the sentence is the phrase “recreational reading.” Apparently, it’s okay to read kids’ lit if it’s part of your job, but not if it’s your fun reading. Only someone with the luxury of reading books at work could make that statement and not realize how inane it is. Librarians, teachers, and booksellers don’t get time on the job to read the books they are expected to know and recommend. They read them at home on their own time, and the line between recreational reading and professional reading blurs, because it has to. After working and the after-hours reading and  hello  having a life, there isn’t necessarily time fit in adult books too. I was searching over at the Poetry Foundation website for a poem about being overwhelmed, because I’m coming out of another long stress cycle. Nothing is gravely wrong in my household, please understand, but the little things add up. Running a major Girl Scout event. Calling Mom daily about her health issues. Preparing the girls for a talent show. Deciding on the future of my career path. Debating my purpose here on earth. You know, the little stuff. In any case, the major GS event is done, and we did a fantastic job. My mom’s struggle with a stubborn infection seems to be at an end. My girls did a wonderful job in the talent show. I’ve made a decision to stay in my job, but to move to fewer hours and a closer branch when/if the opportunity presents itself, allowing me more time to write. Still working on the purpose-here-on-earth thing, but I’ll let you know. Back on track  this article came up when I searched the word stressed. Since it isn’t about emotional stress, I suppose there is something about stressed syllables somewhere in the piece. Close enough. It’s a great article for Poetry Friday. Enjoy. Advice for blocked writers and aspiring poets from a Nobel Prize winner’s newspaper column. The following are selections from columns originally published in the Polish newspaper Literary Life. In these columns, famed poet Wislawa Szymborska answered letters from ordinary people who wanted to write poetry. Translated by Clare Cavanagh, they appeared in slightly different form in our Journals section earlier this year. Read the rest of the article at the Poetry Foundation. Poetry Friday round-up is over at The Simple and the Ordinary. Three recent  and good  picture book additions in my fair library. 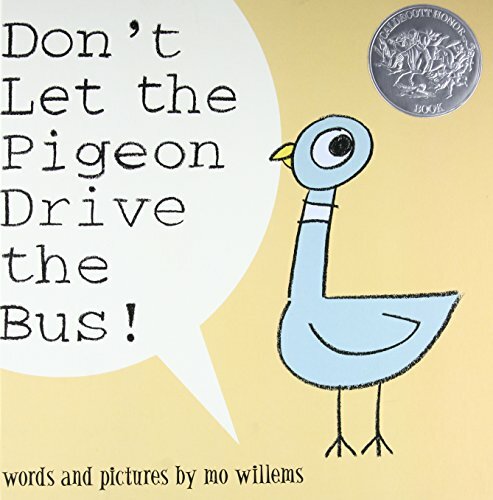 I’m thinking of making the “Thursday Three” a new thing for this blog, since I have a steady supply of these mini-reviews for picture books. We’ll see. The surprise in this book is revealed on the second real page, so I don’t feel bad giving it away. It’s the dragon who finds a boy  or a Benjamin, as he calls it. The little dragon shows the Benjamin to his parents, and they feed him and put him to bed. The next day he goes to school, but he doesn’t want to sit on a volcano like the dragons are learning to do. In fact, he’s sad and... leaking. He misses his home, so his new dragon friend takes him back there. It’s not that the idea of mixing the point of view is brand new, but it is new enough and it’s usually fun, and it’s especially fun this time. Wonderful and imaginative illustrations. Another book winner. It’s hard to go wrong with a chicken book. Chickens are funny. 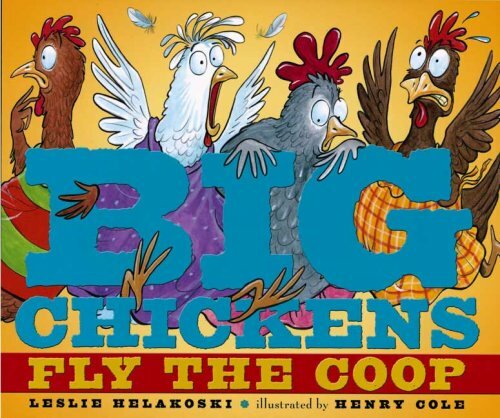 In this story, four big chickens are ready for a change from the nice safe coop. They decide to go to the farmhouse to look for bugs there. As they make their way along, they keep running into places that they think are the farmhouse and are most definitely are not the farmhouse and are indeed Trouble with a capital T. Henry Cole’s illustrations add to the hilarity of the chickens running into a dog, a tractor, and horses. You’ve never seen a batch of funnier expressions on chickens, I’ll tell you that. 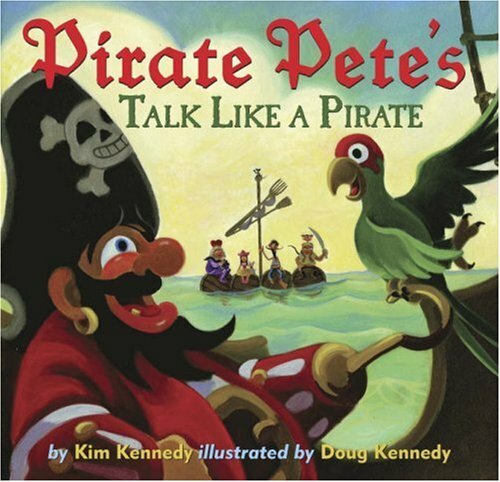 It would be a great read-aloud as well as a giggly book to share one on one. Carpe Diem. Do people still think of the movie Dead Poets Society when they hear that phrase? Maybe it’s just me because my cousin was in the movie. (“Who?” you ask. The kid who killed himself.) 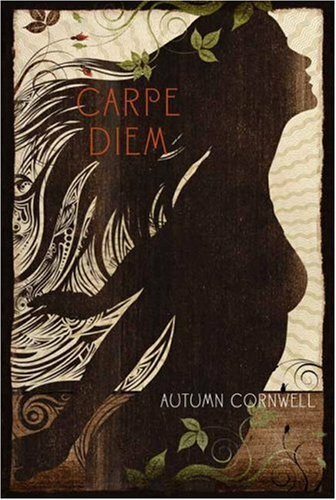 When I saw the book Carpe Diem, by Autumn Cornell, the movie was the first thing I thought of, and it intruded on my book-reading experience. Vassar has been working since birth on her life plan, which includes Vassar (naturally), a Ph.D., a Pulitizer, and then more. Her parents believe in planning, planning, planning, and so does Vassar. 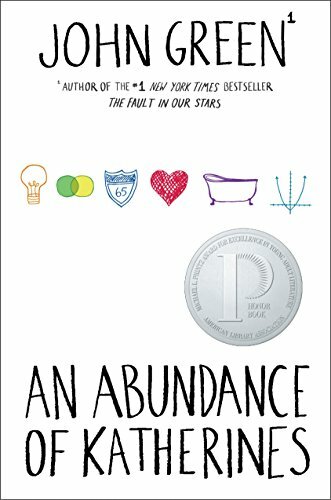 But when her artistic, hippie grandmother sends her a present of tickets to travel around Malaysia, Cambodia, and Laos  and then blackmails her parents into making Vassar go  Vassar finds an entire world that she’s not prepared for. She has a family secret to discover, a guy, adventures, and danger. She deals with oversized poisonous centipedes and opium den thugs. Priceless treasures and squatting toilets. 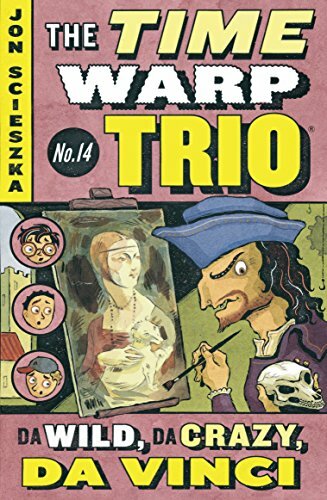 I liked the book for the most part, though I thought that the characters were exaggerated. The mom’s looking over Vassar’s life goals and saying, “After the Pulitzer, then what? Think big, Vassar.” The dad’s taking over his own parenting  including hiring the household help  at age six. Vassar’s ten huge trunks sent overseas with her. The Grandmother’s hippie, flaky style. It was a little distracting for me. Also, for some reason, I thought this book was going to have a different tone than it turned out to have. Maybe it was the cover, maybe something I read... I don’t know, but I expected more of a serious book than I got. Along with the DPS thing, it made it hard for me to let go and enjoy the ride of the story. However, if you are ready to look at the book as a fish-out-of-water story, with lots of outlandish moments, then it can be a fun read. You’ll get a little bit of culture exposure, but that’s certainly not the point of the book. It’s all about, yes, seizing the day. Making your life extraordinary.